Complications can actually lead to higher profits for hospitals if the patients are covered by Medicare or private insurance. No patient wants to experience complications after surgery. But such complications can actually lead to higher profits for hospitals if the patients are covered by Medicare or private insurance, according to a report released Tuesday by the Boston Consulting Group. For Medicare patients with complications, hospitals' profit margins are 190% higher, according to the report, which was published in The Journal of the American Medical Association. The report isn't suggesting that complications are caused intentionally, said Dr. Barry Rosenberg, a co-author of the study. But he hopes the findings provoke discussion on the "absolute need for payment reform," he said. The BCG study analyzed insurance billing data for more than 34,000 in-patient surgeries performed in 2010 across a 12-hospital system in the southern United States. 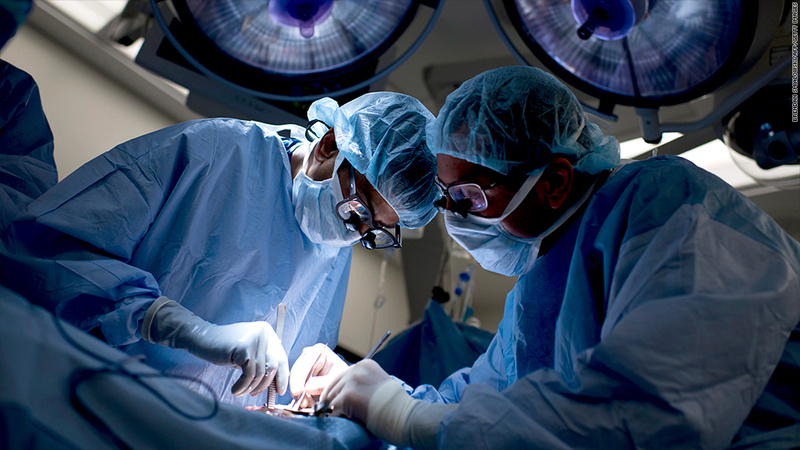 Of those surgeries, 5.3% -- or 1,820 patients -- experienced one or more complications. Hospitals receive $56,000 in working revenues on average when a privately insured patient has a complication, but only $17,000 when they're complication-free, according to the report. They receive $3,600 when Medicare patients have a complication, vs. $1,800 when they're free of complications. "It's been known that hospitals are not rewarded for quality, but it hadn't been recognized exactly how much more money they make when harm is done," said Dr. Atul Gawande, a professor at Harvard School of Public Health and co-author of the study, in the report. "Hospitals should financially gain, not lose, by reducing harm." It's a different story for so-called "safety net" hospitals that primarily treat patients covered by Medicaid or who pay for their own health care. In those cases, hospitals actually make less if complications ensue because of the way Medicaid and consumers pay, according to the report. Texas Health Resources and Ariadne Labs, a joint research center at Harvard School of Public Health and Brigham and Women's Hospital, partnered with BCG on the study. The American Hospital Association was not immediately available for comment on the study.